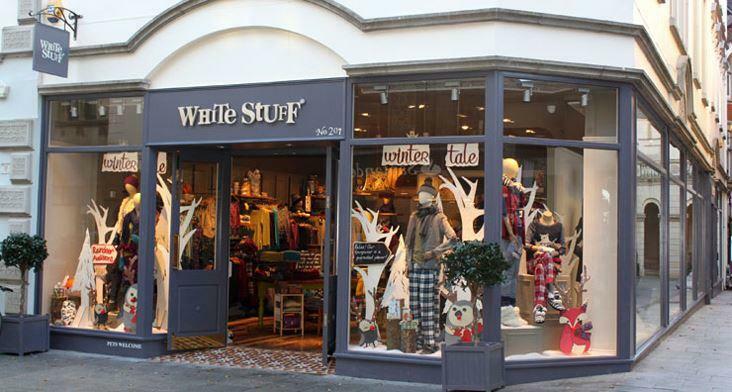 British fashion retailer White Stuff has over 115 stores located across the UK, Germany and Denmark. White Stuff had been using a footfall monitoring system across a small number of their sites prior to contacting Axiomatic. They recognised however, that their system was out of date and if they wanted to make the most of the data they could be getting, steps forward were needed. They got in touch with us here at Axiomatic, explained their requirements, and requested a face to face meeting to discuss further. Representatives from our Sales Department and Installations Team met with them at their London head office. We had a transparent discussion about Axiomatic’s company procedures and ethos, Axiomatic’s product range and what we could offer for a retailer, as well as a discussion on the migration from their old system to our new one. Encouraged by this meeting, White Stuff opted for a small scale trail of Axiomatic’s proposed solution, using the Irisys thermal people counter. Deeming the trail to be a success, White Stuff then gave the go ahead to begin a more widespread roll out of Axiomatic’s footfall counting system, including some sites located in Germany and Denmark. The installation process would use a mixture of approaches. For some locations Axiomatic’s specialist installation technicians would so go site and install. In other locations White Stuff would use their own technical personnel, under guidance from Axiomatic, to install the sensor. White Stuff view their data using a combined approach. They have access to Axiomatics web-based reporting suite, so they can at-a-glance view their daily, weekly and monthly footfall figures. They also take advantage of having access to viewing their raw count data in Microsoft Excel, for use in their own management systems. Axiomatic’s Support Department monitors White Stuff’s system to proactively tackle any issues, and perform continuous software updates. White Stuff have 69 Stores currently using Axiomatic’s footfall solutions (correct as of 15/03/2019), and are continuing to increase the amount of stores covered each year. Here at Axiomatic, we look forward to continuing to build upon this relationship in the future.